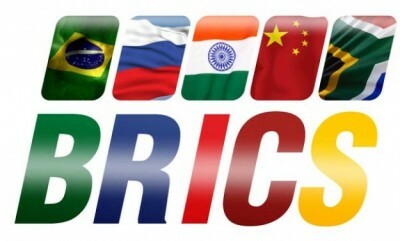 “A ‘BRICS system’ would offer a healthy alternative to the highly indebted and defunct dollar system, where money is printed at will,” Koenig said in an interview with Asad Ismi of the Canadian Centre for Policy Alternatives. “…it is high time that the currency of worldwide theft, abuse and exploitation – the US dollar – financial instrument for endless wars and economic terrorism, be replaced with a currency of peaceful endeavors that respects national sovereignty – a currency that works for the people, not for the elite few,” said Koenig adding that currently six US banks control more than 60 percent of all banking assets. BRICS, which is actively leading a massive effort of de-dollarization, can become a viable alternative to the Western economic system, Koenig believes. Moreover, he thinks BRICS is already in process of replacing it. Increasing cooperation between Russia and China is a clear example – the two countries started to carry out ruble-yuan swaps in June 2014 in order to free themselves from the traditional trading currency, the US dollar. Ten years ago, the world’s reserves consisted to about 90 percent of dollar denominated securities. Today that figure has shrunk to 60 percent, the economist said. Koenig believes Washington is afraid of losing the dollar’s monopoly on the global stage, and is trying to destabilize the situation in the BRICS countries. For example, by slandering the government of Dilma Rousseff in Brazil for corruption and high debt, or depreciating the Russian ruble by fraud and currency manipulations. “Today, though steadily declining, most trading is still denominated in dollars and has to transit through a US bank and the BIS clearing system,” he said. “Under the FED-BIS-WS banking system currencies and gold are subject to exchange rate and interest manipulations”. The potential of BRICS is promising indeed, as the members account for almost 30 percent of world GDP and about 45 percent of the global population.